Our shows on QVC UK are this week! On July 25th Anna is on at 9am GST for The Christmas Morning Show with Craig Rowe. 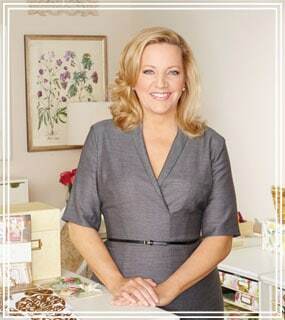 Tune in on July 26th for a full hours of Crafting with Anna Griffin at 12pm and 4pm. This is your final preview and as promised we have your shopping list! 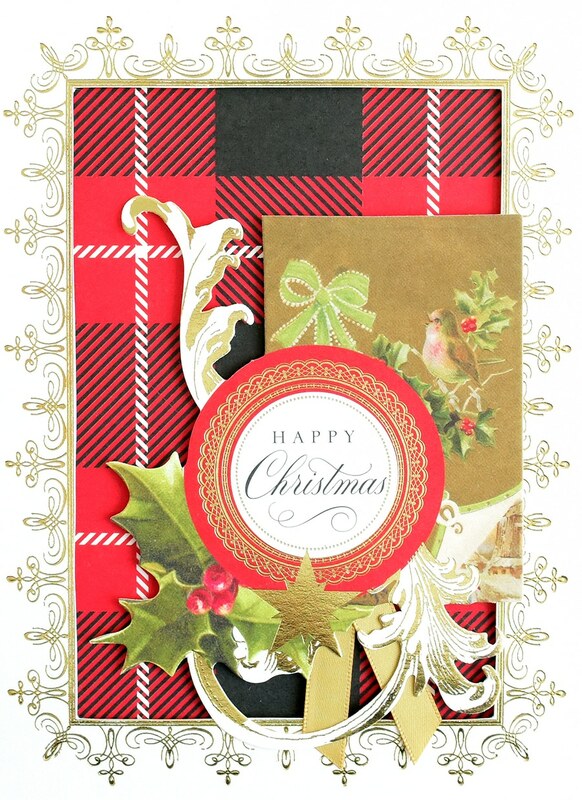 It’s Christmas in July and we have a brand new, beautiful new Christmas Card Making Kit. 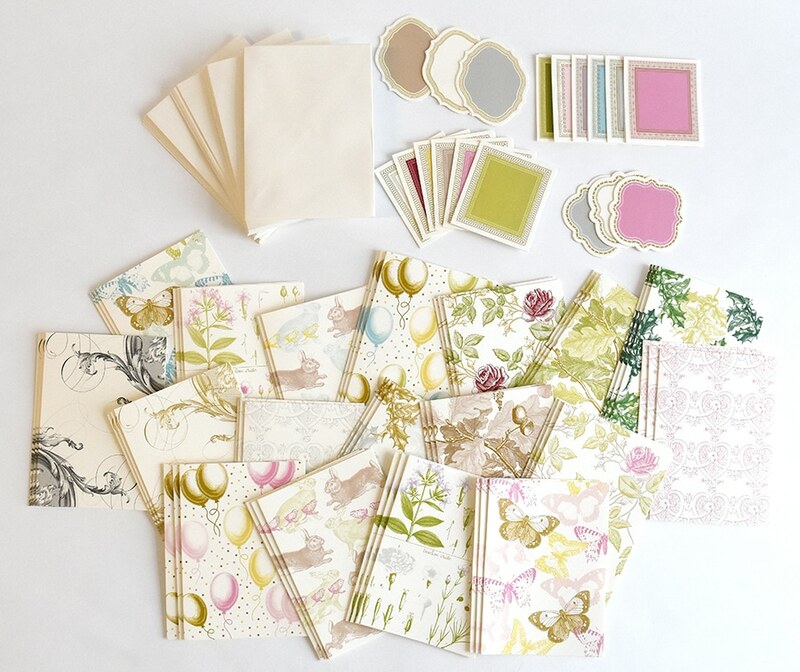 Say hello to our Christmas Collage Card Making Kit! 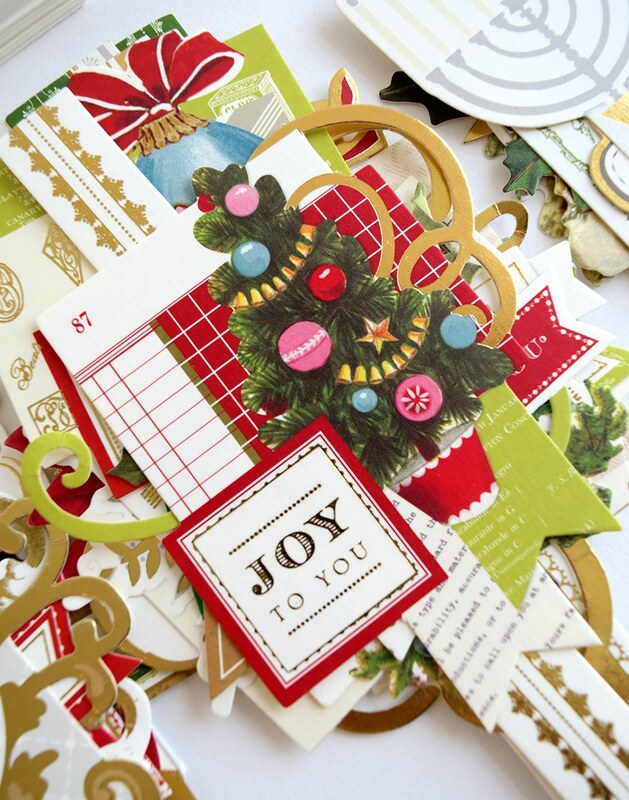 Everything you need to create 50 amazing holiday cards is in this cheerful red box! 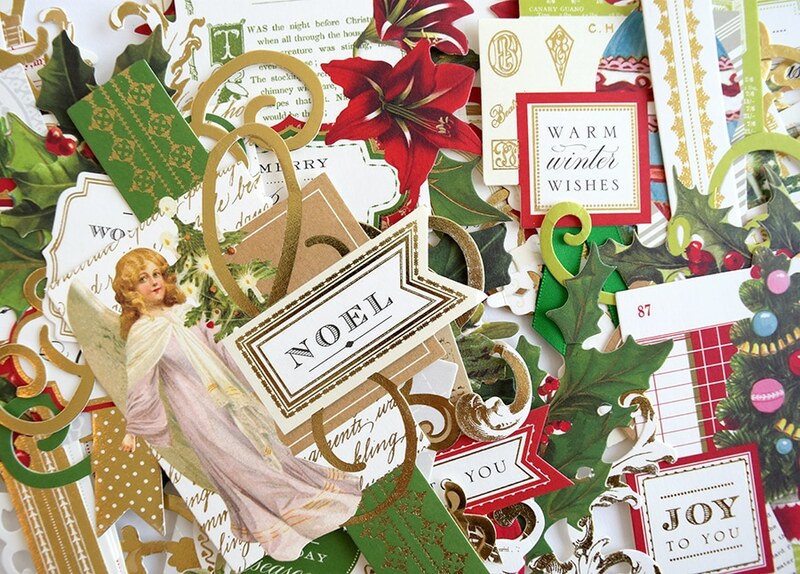 You’ll get 57 die cut Christmas Collage Card Toppers, 50, 5×7 cards, card sentiment inserts, 50 envelopes, 50 gold foil envelope liners and 50 foil fretwork die cuts. The collage toppers include phrases such as Joy to You, Happy Christmas and Peace on Earth. Layer all the components for lovely cards to let friends and family know that you are thinking of them over the holiday season. The Mini Long Plate Set is also available should you want an extra set of plates for your machine. The Mini Short Plate Set is coming too! The same A,B and C plates are 2.5″ x 5″ for a faster run through the machine. We have created an extensive library of treasured stamps and concentric dies that can be used all year long and for all occasions. 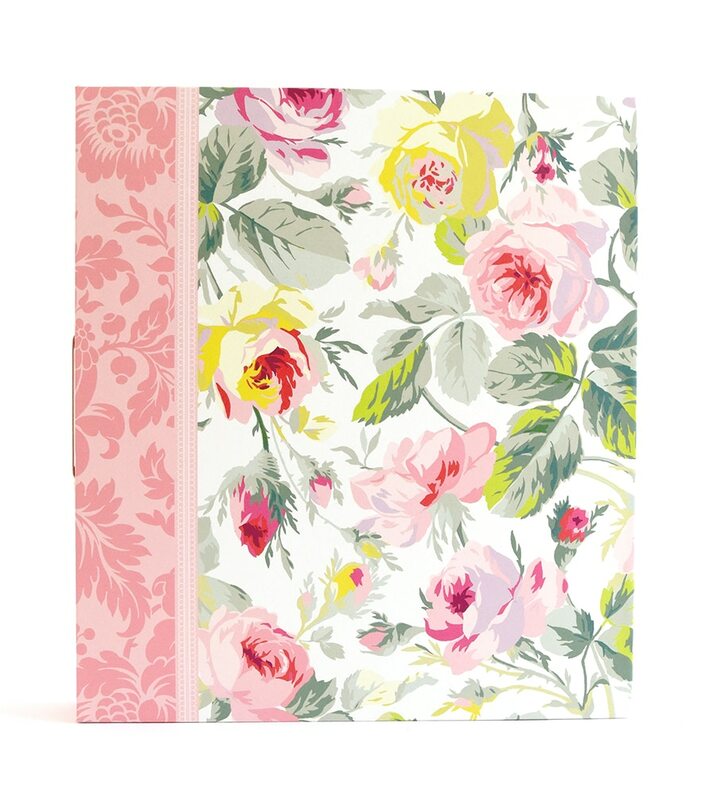 Our Treasury of Stamps and Dies Binder is coming to the UK! 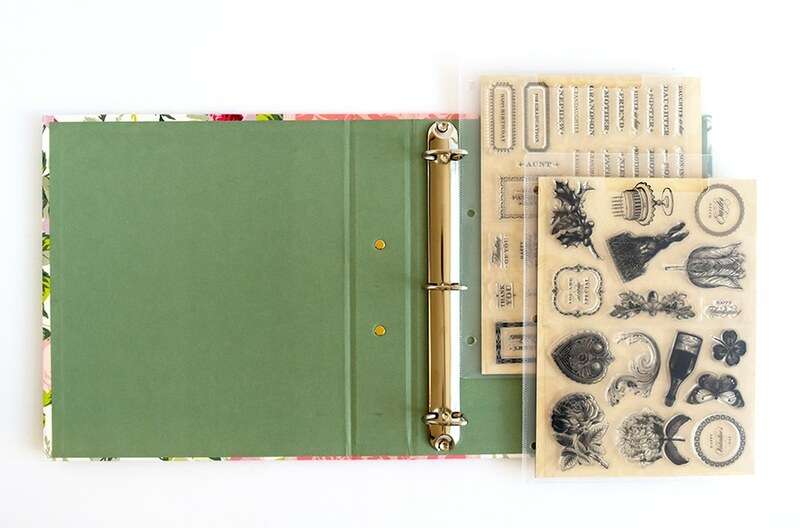 It is a gorgeous binder with storage sleeves for your stamps, magnetic sheets for the dies, 61 clear stamps, 34 concentric cutting dies, 28 adhesive tabs to keep it all organized and an idea sheet to get you started! Stamp images include an icon for all of the holidays and card sending occasions plus a stamp for your nearest and dearest. Want to make a personalized card for your Grandmother? What about a special anniversary card for your Brother? This set has it all! Our Treasury Cards and Layers go with the stamps and dies perfectly. We have made it easy to create beautiful cards that look as though they have been already stamped. 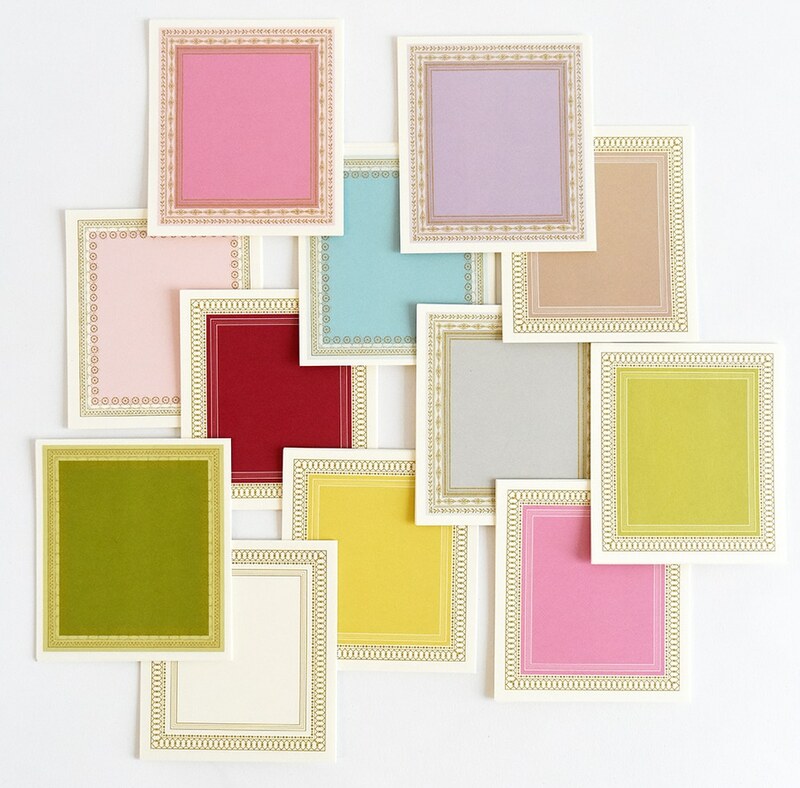 This set of 54 printed and folded cards contains, 54 printed layers and 54 envelopes – all in a beautiful color palette. So exciting! We will see you on Wednesday! If you want to join us for the shows you can watch QVC (UK), or you can watch online! This kit is simply gorgeous. I truly love it. Recipients will be in awe I’m sure. Can’t wait to get it and start creating beautiful awesome cards. This set is simply amazing. I love it!! I love EVERYTHING! Every time I tune in there is more to wow me. Need that magic money tree 🙂 some lucky crafter is going to be thanking you! Love and want this! Absolutely lovely. Can’t wait to play! This kit would make my life so easy…..and everyone would be so impressed when they got their Christmas cards. This kit would make ALL of our lives MUCH EASIER! I had so much fun last year with your Christmas Card Kit. This year’s looks beautiful also! The great part is, I was able to take it along with us in our camper in the fall and make cards during our “down” time. Just add adhesives and you’re good to go! Love it. Thanks for another beautiful kit! Save some for us in the States! Beautiful sets as always! I am always looking for ideas and you do a great job of showing us the great ideas you have! Oh, pretty please and thank you! 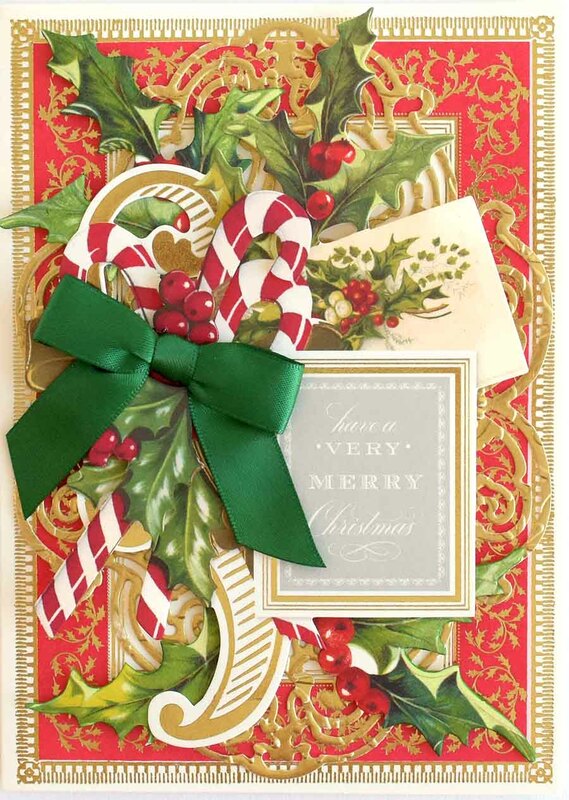 Love it all Christmas and Flower kits You make it so easy to make cards. All of these items are fantastic. I’m sure they will be very popular!! Your items are all fantadtic. I love you layers and embellishments and I might have to have the small cuttlebug! I keep looking at it and drooling LOL! At last! I can get my favourite designer back here in the UK!!!! Missed today’s show, as only logged on in the evening for my emails. But hopefully it won’t all sell out before i get there! I just love the layers and the beautiful embellishments. I am so new to your products, I wish I could win the lottery so I could buy them all. LOL One of a kind. Lovely. Everything is just beautiful. As always. Hope you have a real sellout. The Christmas collection is really great. Those Christmas cards look beautiful …as always!! I’m so disappointed we won’t have the Halloween die set over here though! Love all your products, but love Halloween most. Love all thing Anna Griffin .But mostly holiday! WOW!!! Those Christmas card products are totally beautygorgemous!!! Anna, kudos to you and your team for another wonderful Christmas kit! Will have to get the Binder for all your stamps and dies. 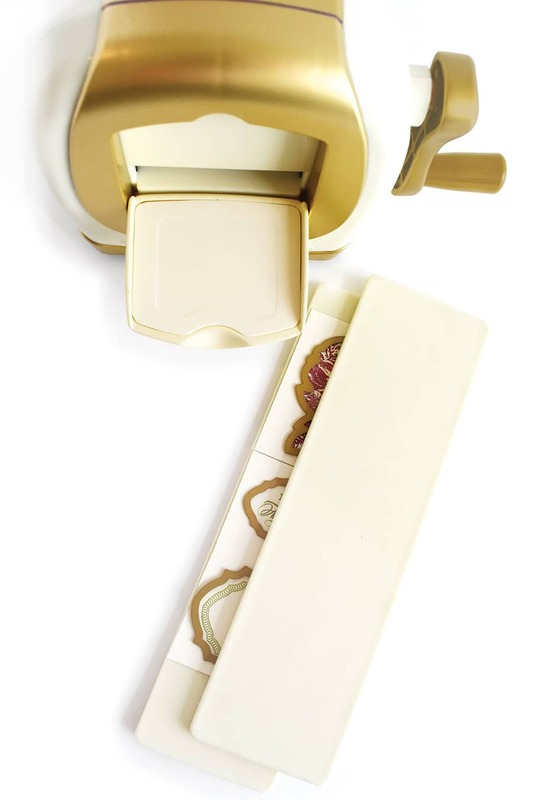 And I’m eyeing that lovely mini die and embossing machine. Hi Anna! All my items finally arrived from your July 15th show on HSN! I am so excited to get crafting, and share your beautiful products with my twin toddlers. They love scrap booking, and to decorate cards for our family who all live far away. Best wishes and awesome luck in your UK shows! I love making and giving your Christmas cards every year! I hope the people in the UK give you a sold out show. The Christmas cards are gorgeous. I love everything the Christmas cards are beautiful.I will be watching! Good luck Anna. Hope your shows are brilliant! Love, love, love all of your sets but this new Christmas set is outstanding…really hope I will be able to get this set. Thanks again for sharing your talents. ahhh christmas in july, very cool. That mini machine is so cute!! I love the Christmas card collection! Anna you have outdone yourself once again!!! I want 1 of EVERYTHING!! Looking forward to see the great products online. 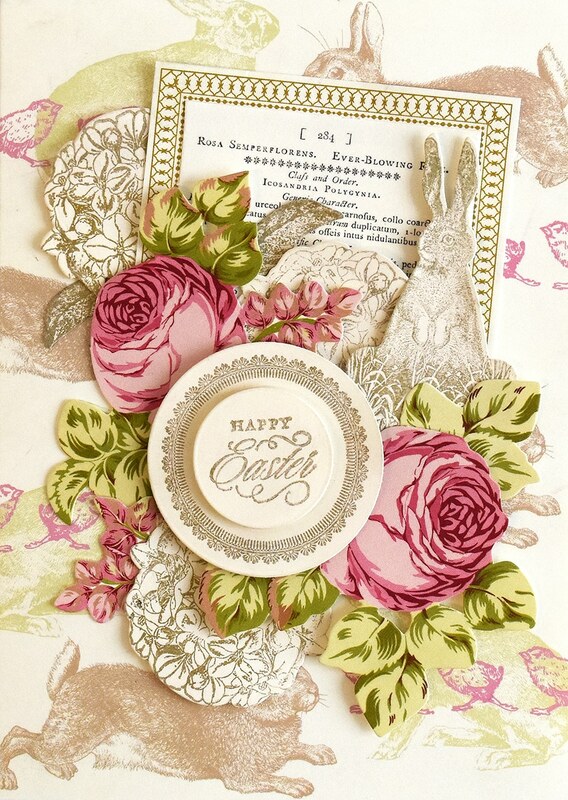 So excited about the Treasury of cards, layers, labels and envelopes, including the bunny/spring/Easter motif. My church ladies will enjoy the varied backgrounds as we expand our fund-raising card project now. Thank you, Anna and team!! I love the mini die cutting machine. I also love Christmas. very nice card kit and the work is almost done. This is great for someone with a long list. Dont be surprised if you end up shipping to the North Pole. love the Christmas products and the mini machine..LOVE IT ALL! Really can’t wait for Christmas cards! Christmas cards are my favorite to make. This collection of is so beautiful! Have already started with my cards for this year thanks to your products. Can’t wait to add this to my stash. Hope you have a great show in the UK. Anna’s products are the best!! WOW!! This is fantastic. I am starting on my Christmas cards next month. I recently ordered the Maker special from the recent HSN show and then realized I cannot truly “design” my own items–I can only modify designs sold through Design Space. But, I will say your items are lovely and your enthusiasm is additive. MK, you can upload your own designs and truly design your own projects! 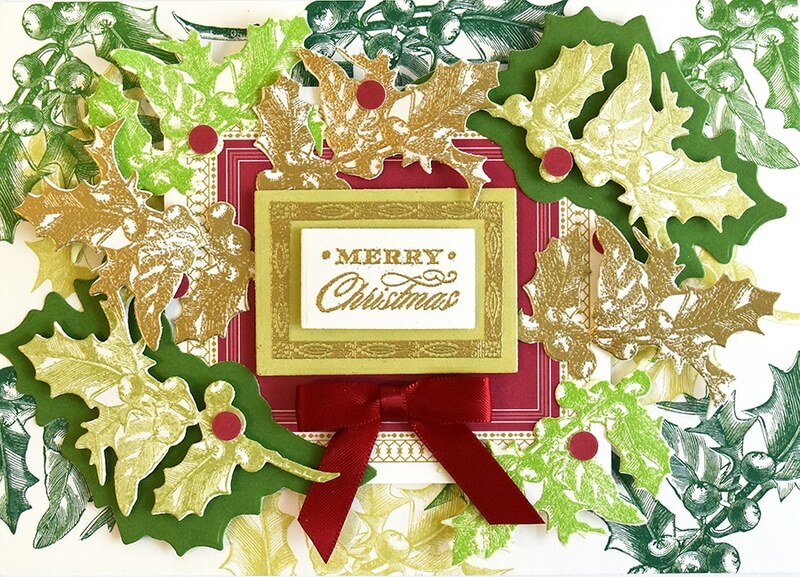 Love your Christmas card kits! And I have your binder! It’s awesome! I have to look into your mini cuttlebug! 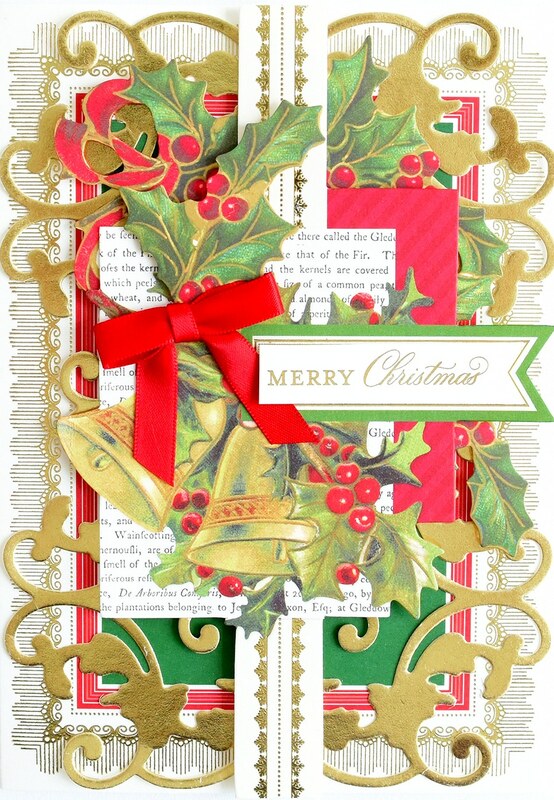 Love your Christmas cards and embellishments. Great quality and quantity. Everyone needs all of these products!! I already have the stamp and die collection in the binder. Soooo lovely. Will definitely need the coordinating treasury cards and layers. I don’t think they have come to the US yet. Will be checking HSN when I finish this message. Stay well and see you in August. It is all so beautiful. Can never have enough embellishments. Everything is wonderful, you know how to do Christmas. What great products. I love your new Christmas cards. Just beautiful. 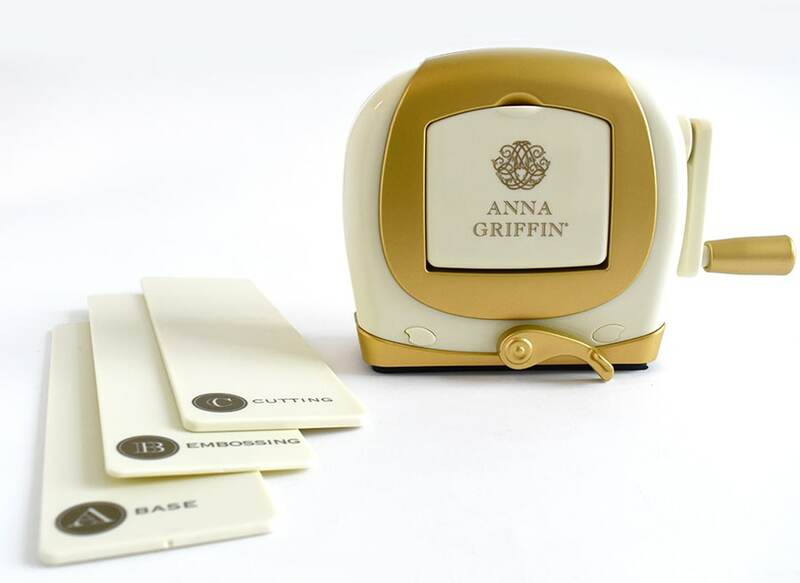 Have your mini die cutting machine. It’s always on my work station. No one does Christmas like you, Anna! I have many of your Christmas kits, dies, etc. love them all. Thanks Anna. We were discussing on Facebook if you would come out with new Christmas designs, OF COURSE! It wouldn’t be the same without new designs! Hope you come to QVC USA soon. Love your products. I would be blessed to win any of your products. Beautiful selection. I love all of the designs and colors! 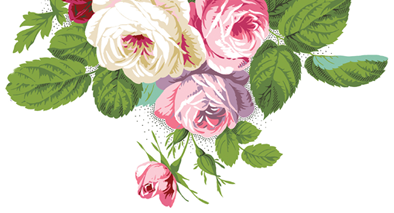 Layers upon layers of beautiful designs! The more the merrier! There all beautiful but I especially like the Easter cards. These are all up to your beautiful Anna Griffin standards. Would love to have any of them! The mini die cutting machine and the longer plates would be a wonderful gift to me! These are all up to your Anna Griffin standards. :o) Would love to have any of them! I cleaned out my craft closet today and made room for more . Christmas is just around the corner, and I am ready for the beautiful Christmas cards that are on the web sight! Love it! Everything is just beautiful, I would like to win it all. I love having pre-folded cards and layers on hand they save me over 50% of time in card making. I have the treasury binder stamps and dies. Now I need the set of cards to go with. Hope they come to the US! Everything is so nice. 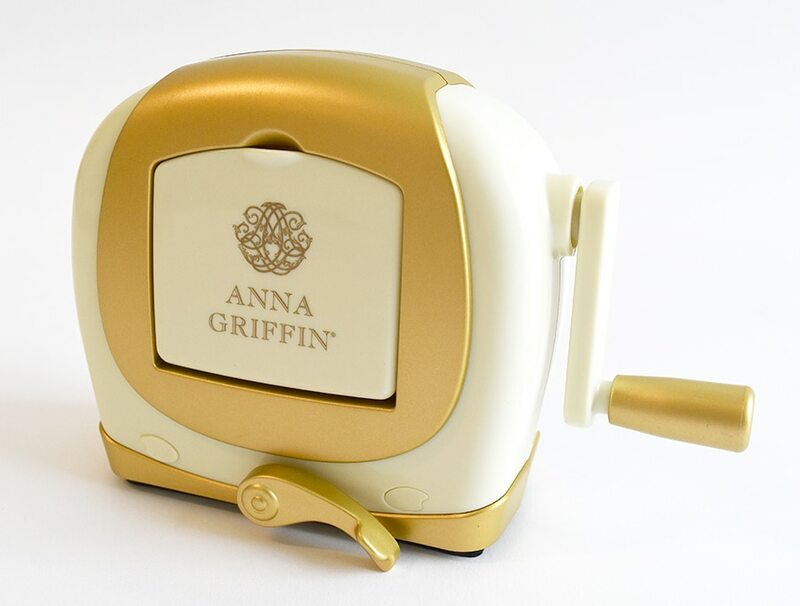 I am getting a package delivered today from HSN which is an auto ship Anna Griffin card set. I am like a kid at Christmas waiting for UPS!!! I have the treasury of stamps and dies in a beautiful binder; now I need the lovely cards to go with it. Love all the bunnies, balloons, and flowers. These great cards will be so much fun to stamp and decorate. Also making the dies on the little Cuddlebug is a delight. Thanks for coordinating all these great crafting items. Christmas kit looks brill. But so do all other items. 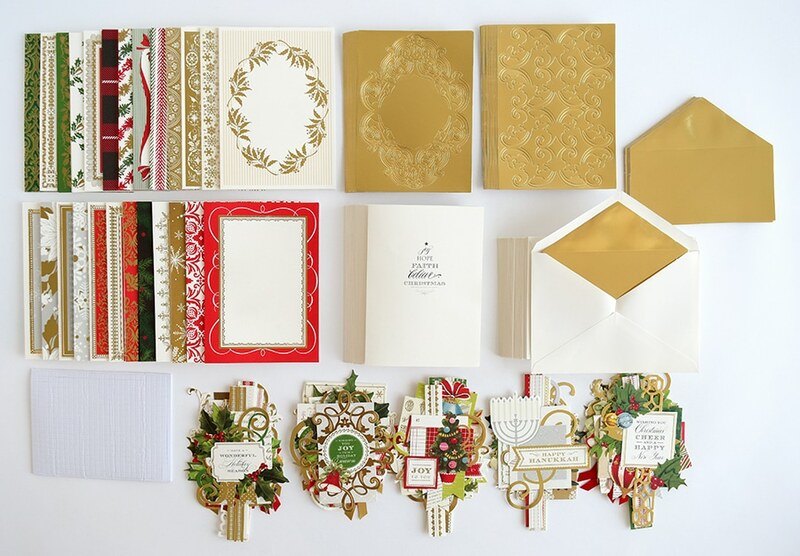 I always get so excited to see new Christmas card collections. You never disappoint. Christmas is my favorite time of year! 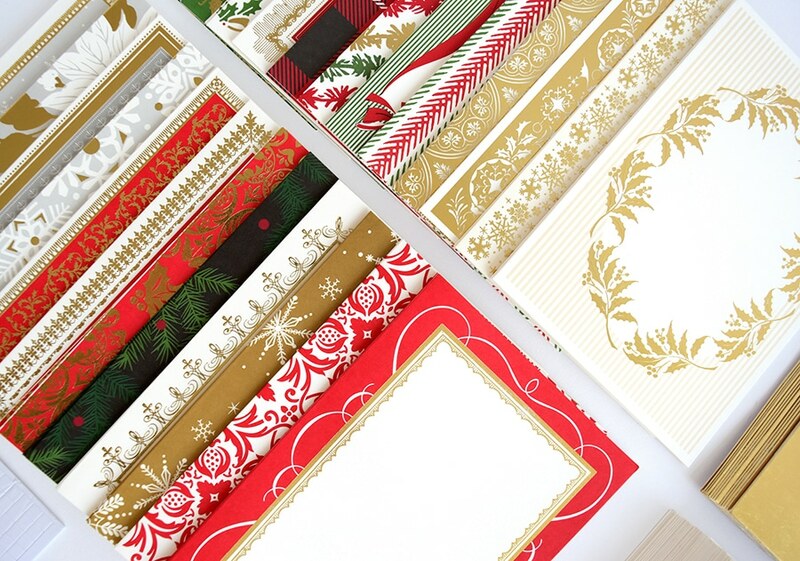 I love your Christmas Card kits… mine are done and I can’t wait to mail them out! 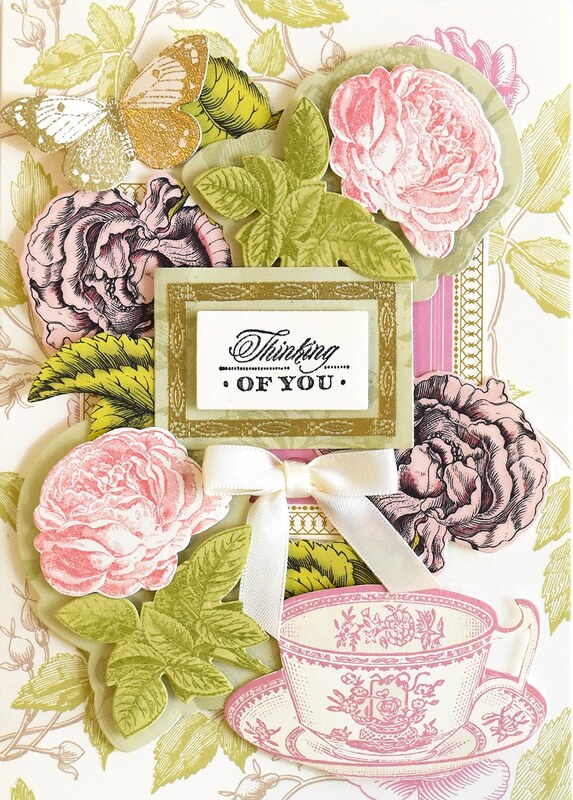 All the products are stunning but I especially like the Treasury Cards and Layers. 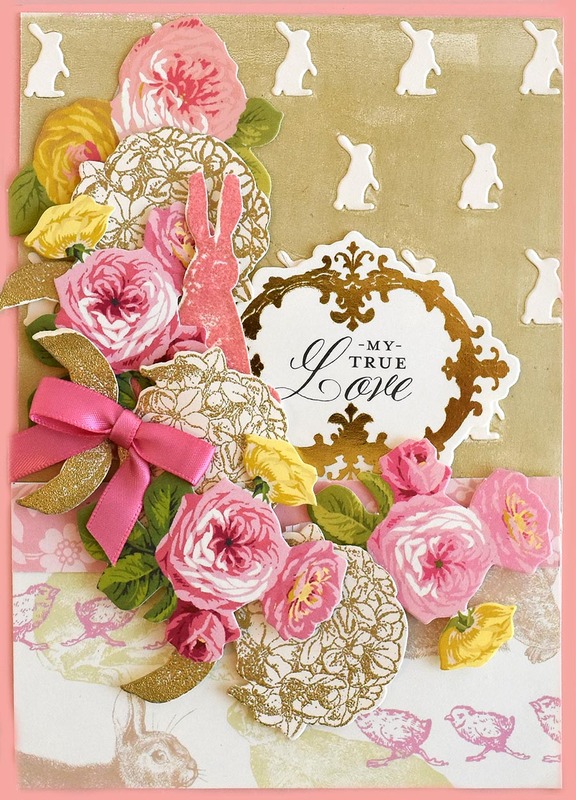 I have been playing with my new card kits I bought from Anna Griffin and wow… How fun. I love your ideas and it is fun to mix it up with some of the things I already have..
Hi Anna. Your Christmas collection is awesome with the vibrant colors and designs. Your creativity is endless. I don’t live in the UK, but I would dearly love to win these items. I love everything Anna! I also love everything Christmas! I love the new simpler version of a Christmas card kit, it makes choosing the composition simpler. The new Mini would be fun to take to my card making class at Church. We make cards for our Troops and the Red Cross takes care of the delivery. This is my 3rd class and it is catching on because the ladies want to have a monthly card making class in the future. I adore the red plaid paper!!! The Treasure card layers are beautiful, versatile and overall a great buy. I love the new colors. Never thought of red plaid paper. The Christmas Cards are so much fun to make. Can’t wait for the new kit. I’m not in the U.K. but hopefully it’ll be in the U.S. I have ordered so much already but well there’s always room for more. Winning any of this would be craft-a-licious. Hoorah lots of wonderful goodies and a big spend !! Christmas is never Christmas without tons of Anna crafting gear and you’ve at last brought us the Window Ledge card making Kit, thank you thank you, I just can’t wait. So looking forward to the return of Anna to our TV screens! I have my list of products and credit card ready! I love Christmas!!! All the products are Beautiful.